The program incorporates music, dance, library, religion, art, science, technology and PE. 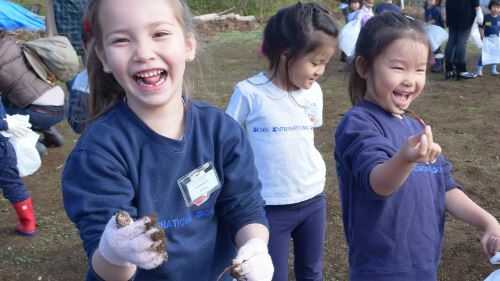 Multi-age and multi-cultural classes naturally encourage leadership, tolerance, and respect which support the development of global citizenship. Students are encouraged to make responsible choices and to recognize the effect of their actions within their classroom communities. The Montessori history and geography curriculum fosters an awareness and appreciation of other cultures and offers an understanding of the children’s place in the world. The religion curriculum fosters an understanding of religious and cultural diversity, respect, and other values. In addition, the International Baccalaureate fosters intercultural understanding and respect within all curriculum areas. Service to others is encouraged and acted upon. Older children help younger children. Children are responsible for taking care of the classroom environment. The curriculum also offers opportunities for children to explore, discover, and learn through the use of a variety of materials and activities. Students are engaged in the learning process and actively construct their own knowledge by sorting, comparing, contrasting, evaluating, and classifying Montessori materials, leading to the development of critical thinking skills. Essential questions are used as a tool for exploring big concepts within our inquiry units. These questions stimulate discussions, help children to make connections, transfer knowledge, and lead to further inquiry into the concepts studied. The curriculum has clearly articulated objectives for the mastery of content knowledge, understanding, skills and attitudes. Students’ active engagement in the learning process is evident in student participation in classroom activities and samples of student work. 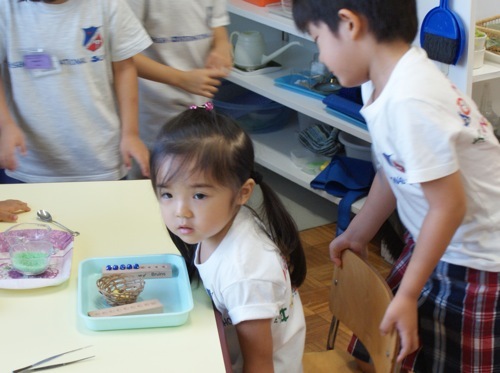 The differentiated and individualized approach to learning within Seisen’s Montessori PYP Kindergarten and the extensive range of hands-on experiential materials ensure that all students can access the curriculum and develop at their own pace. Each of the six classes consists of a group of children from ages 3 to 6. There is an afternoon extended program for all three year olds. Three year olds may attend the full day session being offered to four and five year olds. Morning session is from 8:30 a.m. to 12:00 p.m. The full day session is from 8:30 a.m. to 3:00 p.m.year olds. Our "Stepping Stones" Toddler program for 2 to 3 year olds is now in high demand.